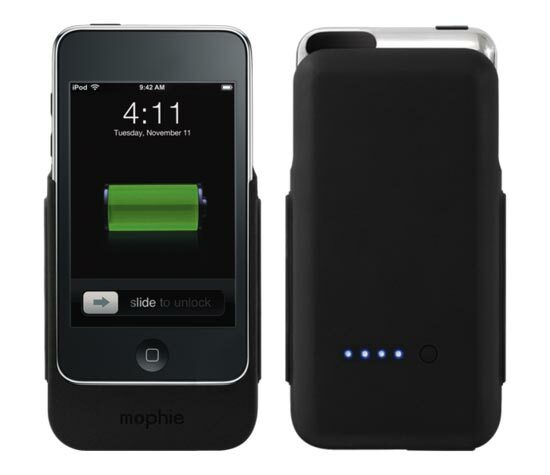 Mophie has just added a new charger to its range of Mophie Juice Packs, this new one is for the iPod Touch 2G (2nd Generation). The Mophie Juice Pack 2G looks similar to the iPhone 3G version, and will give you up to 42 hours of music playback and up to 7 hours of video playback. If you need extra battery life on your iPod Touch, then I would definitely recommend looking at the new Mophie Juice Pack iPod Touch 2G, I use one for my 3G iPhone every day and couldn’t do without it now as it provides great extra battery life. Although I am not sure how long the battery on the iPod Touch lasts compared to the iPhone, as the main thing which drains the iPhone’s battery is the 3G. The Mophie Juice Pack iPod Touch 2G is now available for $99.95 from Mophie.